We want to simplify the mortgage experience as much as possible to help you make an informed decision. Use our mortgage calculators to help determine exactly what you need. Share your calculator results with your loan officer so they can help you figure out what’s best for you and your family's budget. 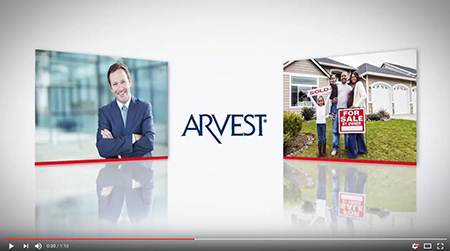 Arvest Bank has over 50 years of home-lending experience and a dedicated internal lending team. We will help you lock your rate up to 60 days prior to closing on your purchase or refinance. Start today by completing our contact form (above), calling us at (855) 997-6567, applying online or downloading the Arvest Home4Me™ mobile app.